* Give separate colored roll templates to the different types of rolls. I will take a break in actively working on the sheet for a while, so I saw it fit to update this thread now that I don't have anythign major updates upcoming. The sourcecode for my WIP can be found here. Currently V.2.00-test have wild die toggle and tabs. I have a test campaign set up so if someone want a link PM me. * improve vehicle section(0% Done) will be the next thing I'll work on, adding stat trackers to all things in 2E R&E and add some roll buttons. 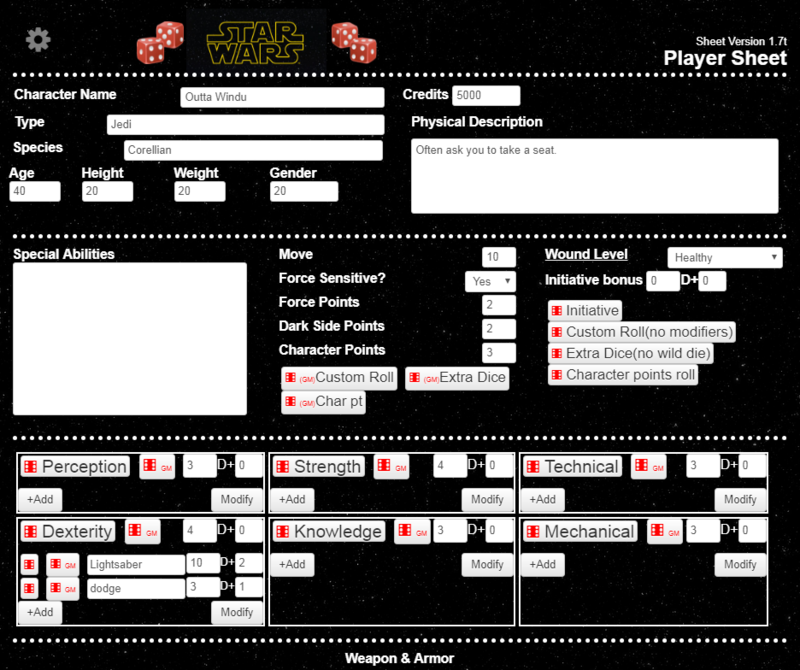 Might later make it possible to have a Vehicle sheet, in addition to the current PC/NPC sheet options. In a few weeks I might continue working on getting some of the smaller updates done to the sheet rather than try to again try to rework the V.2.00WIP tabbed sheet which have unfortuante bugs. Roll20 credit donations from three individuals have enabled me to not be as cautious to use Pro membership that is required to be able to work on the sheet.